Subject: How Much Is Spotify Stock? The Spotify IPO could happen in 2017 or be delayed until 2018, but the streaming music service is not a publicly traded company as of March 24, 2017. You see, there's a big reason why investors are so anxious to invest in the Spotify IPO: its massive user base. In March 2016, Spotify reported it had 30 million paid subscribers. That number grew to 50 million paid subscribers in March 2017. That's an increase of 66% in just one year. In comparison, Apple Inc. (Nasdaq: AAPL) has just 20 million subscribers for Apple Music as of December 2016. I know what you're thinking: Spotify's user totals are impressive, so why hasn't it gone public yet? Spotify currently isn't profitable. It generated revenue of $2.8 billion in 2015, but still reported a loss of $194 million. According to DigitalMusicNews.com, Spotify is paying at least 70% of its revenue to Universal Music Group, Warner Music Group, and Sony Entertainment. 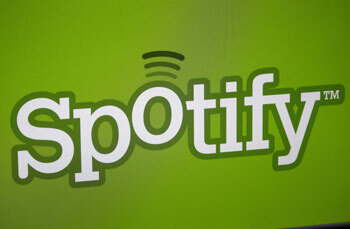 Since its inception in 2006, Spotify has reportedly paid a total of $5 billion in royalties. Keep in mind that Spotify's costs are even higher, as that $5 billion doesn't include taxes and overhead. Now, it's true companies aren't always profitable before they go public. But the problem with Spotify is it doesn't even appear to have a plan to reach profitability. The company wants to lower royalty fees, but the record companies obviously want to keep royalties the same. However, we found a way to make money off of Spotify right now, without even investing in a risky IPO. There's a hidden profit opportunity that could net returns of 63% buried in Spotify's operations.